really cute *__* thx for sharing ! awww....this one is just so pretty! I really like this artist. those red flower are just such a nice touch to the pic! Gosh, the artwork for this series is great. I love how soft yet striking the colors are. The quality of this scan is great. Thanks for sharing! love love love love it! the artwork is so beautiful. wish i can do that. lol. oh.... they both are incredibly beautiful! I love this pic! Somehow, this kind of makes me think about The artist Ciel(wait..i think it IS THE artist ciel! 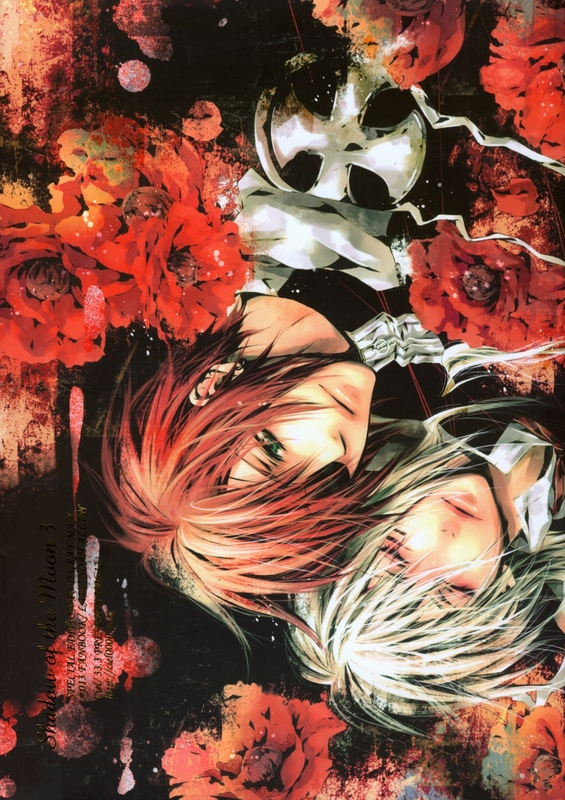 )..Lavi and Allen are always so beautiful when the artist draws them! I relaly love the colors of this scan, especially the flowers surrounding them! anyways,. thanks for sharing! I just love that one! So beautiful...Allen, Lavi, the colors, everything! I love the hair. and the colours and style make it all dreamy like...yum. This is so nice. I LOVE Ciel's artwork! Thank you for the scan!